Description: CodeTwo NetCalendars is a group calendar dedicated to those who would like to streamline the management of appointments in the company as well as improve the general workflow. The application enables multiple users to work jointly in shared calendars located on different computers in the local network or the Internet. The users can see and work on several calendars at one time displayed in one view. The application is compatibile with Outlook. 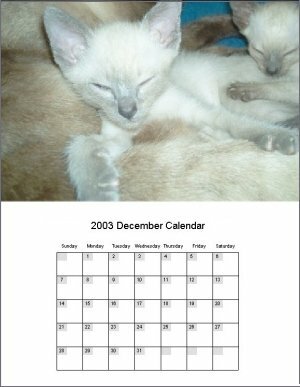 Description: Custom Calendar Maker allows you to make your own calendars that you can customize with your pictures and photos. You can add your personal events, save your customized calendar to a bitmap file or print it to paper. Some features available are: make photo calendars with your images,define personalized events,edit your photos and add special effects to them.